House and Senate negotiators late Monday struck a bipartisan deal “in principle” that would dodge a second partial government shutdown by providing President Trump $1.375 billion in funding for physical barriers along 55 miles of the Rio Grande Valley...The $1.375 billion in funding for a border barrier is far below President Trump’s request for $5.7 billion for a southern border wall, but the GOP aide said all of the money can be used for physical barriers and is double the miles of new fencing funding provided in 2018. The aide said any currently deployed design can be used to construct a barrier, including the steel slat fence Trump has touted. Democrats said the barrier funding achieves their goal, arguing it cannot be used for the type of big, concrete wall Trump long advocated on the campaign trail. Trump can say that Democrats finally agreed to fund some of his wall, with dozens of miles of new barriers being deployed in a key border sector -- and not the woefully insufficient anti-vehicle barriers or easily-penetrated 'Normandy fencing' Nancy Pelosi had talked about. Democrats can say that they denied Trump both the majority of the funding he sought, as well as the giant concrete 'wall' they say he wanted (they often prefer to avoid talking about what he's actually proposed as president on this front). The games over semantics have already started. Then there's the matter of detention beds that allegedly emerged as a major sticking point over recent days. Democrats had introduced a ludicrous demand to reduce and cap the total number of illegal immigrants ICE was legally permitted to detain on any given day. 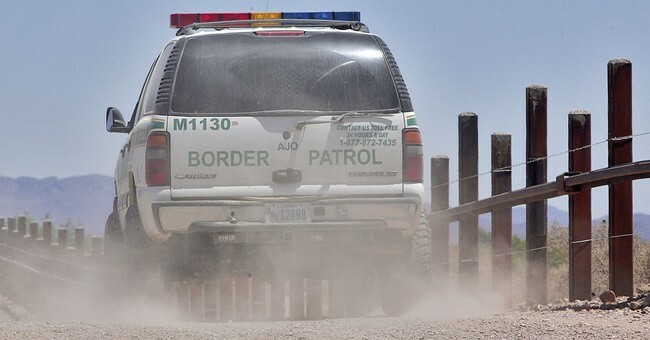 Their claimed logic was to force ICE to focus their resources and attention on pursuing illegal immigrants accused of dangerous crimes, but the practical effect would have been to compel the US government to release even more unlawful entrants into the country's interior, pending future proceedings. Statistics show that a significant number of illegal immigrants and asylum seekers never show up in court. In other words, the detention cap would have exacerbated the systemic 'catch and release' problem that has inexorably swelled the illegal population over many years, and that has also helped fuel the family separation crisis that offended so many Americans. Democrats' awful idea struck me as almost the exact opposite of sensible policy-making, explicitly making it harder for US immigration officials to enforce existing law, and mitigating first-rung consequences for violating American sovereignty. All of this would likely have the perverse effect of incentivizing more illegal immigration, keeping the cycles of dysfunction (and the "need" for future amnesties) churning. The good news is that Democrats finally dropped their bonkers demand. It's not in the deal. They were apparently able to secure a nominal decrease in the number of ICE detention beds, but Republicans say those limits aren't enforceable in practice, and that the agreement maintains “the funding and flexibility necessary to maintain its current detention population and respond to surges in apprehensions,” according to the Washington Examiner.